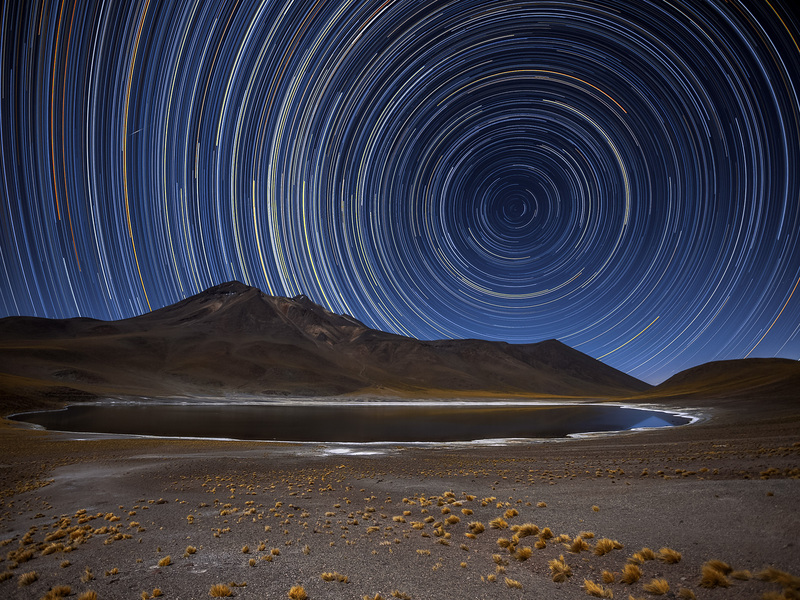 Science and art unite in this beautiful photograph, taken in Chile’s Atacama Desert by ESO Photo Ambassador Adhemar M. Duro Jr.
To create this visual masterpiece Adhemar pointed his camera at the sky’s south pole, the point at the centre of all the bright arcs and circles. All the stars in the night sky revolve around this point. 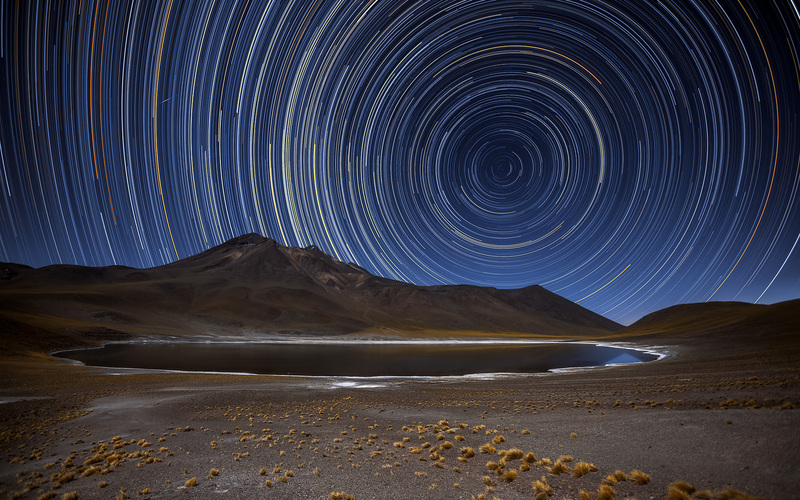 Over a period of several hours, this motion creates star trails, with each individual star tracing out a circle on the sky. 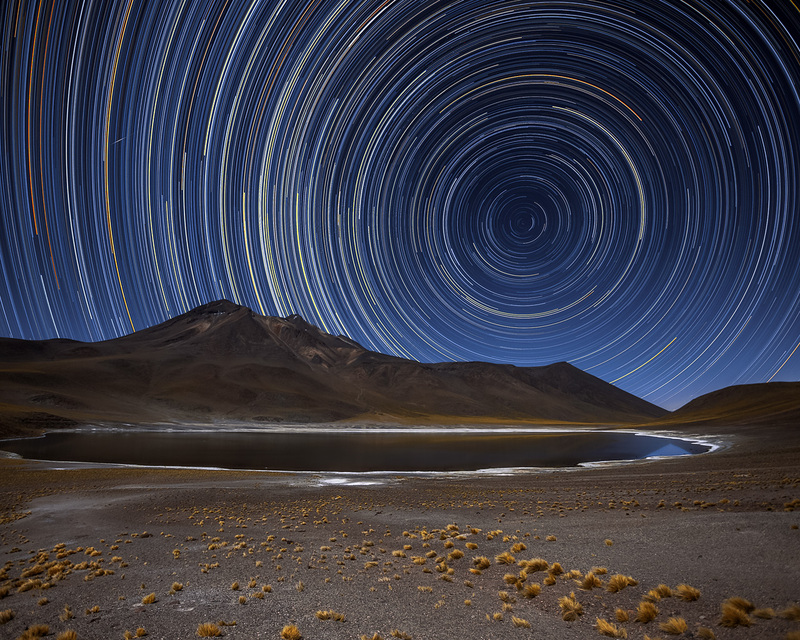 These trails display the various brightnesses and colours of each star, creating a captivating scene! Towards the top left of the image, you can see a short, bright streak of light cutting across the trails — this is caused by a meteor, burning up in a flash of light as it enters Earth’s atmosphere. 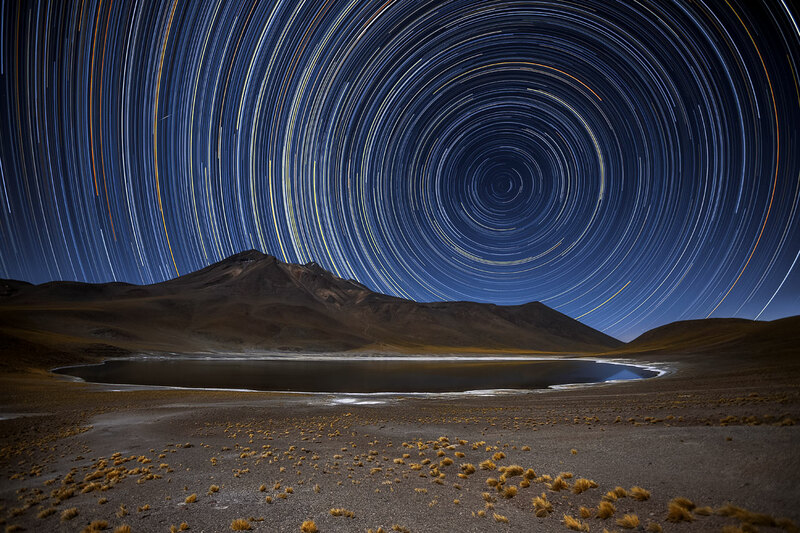 The desert’s harsh and arid landscape, illuminated here by the light from the stars themselves, is the perfect place to view the night sky. Because of the location’s favourable conditions several telescopes are hosted here, including ESO’s Very Large Telescope, ESO’s Visible and Infrared Survey Telescope for Astronomy (VISTA), and the forthcoming European Extremely Large Telescope, which is currently under construction atop Cerro Armazones.